Not all protein sources are created equal. When you use these different sources makes a huge difference! 1. Whey proteins: These are the fastest digesting proteins and are absorbed into the bloodstream in under 60 minutes. 2. 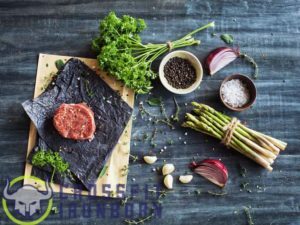 Whole food proteins (chicken, lean beef, fish): These proteins have a moderate rate of absorption that continuously feed amino acids into the bloodstream for up to 2-3 hours. 3. Dairy proteins: These are the slowest digesting proteins, which remain in the bloodstream for up to 7 hours. These proteins contain casein. Note that these digestion rates are based on whether these protein types are taken in alone. Adding fat and/or fiber to these will also slow the rate of absorption, fueling you and making you feel full longer. Cool. So what does this mean for you? • Whey protein is a fabulous source for you to take in with both your pre-training meal and immediate post-training meal. Amino acid supply pre-training and replacement post-training help with unnecessary muscle breakdown and support muscle recovery and growth. Keep in mind, this training window, including pre- and post-training meals, provide great opportunities for you to take in carbohydrates. Carbs taken in at this time are utilized immediately by your muscles to provide energy for your workout and recovery post-training. • Whole food proteins in meals consumed further outside our training windows are important for the same reasons. These are a little slower digesting, which not only keep us feeling satisfied, but also continue to supply your still-recovering muscles with the amino acids they need. • Casein proteins, found in dairy foods such as cottage cheese or casein protein powders, take the longest to digest out of all three protein sources. They’re great to use as part of a meal replacement smoothie or when you know it will be several hours before you’re able to eat (i.e. before bed) or train. These types of protein are great to mix with a fat source in order to prolong the digestion rate even further.